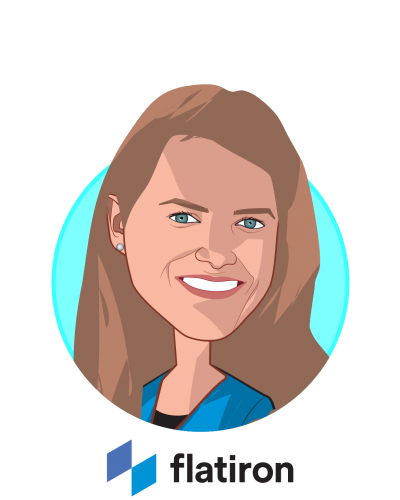 Amy Abernethy serves as chief medical officer, chief scientific officer and senior vice president, oncology, where she leads the research oncology, clinical operations and data science teams, and contributes to the strategic vision of Flatiron Health. 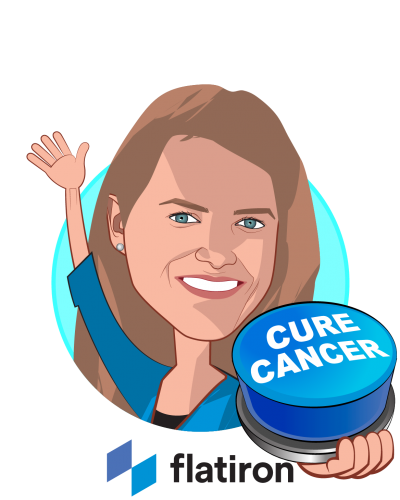 Before joining Flatiron, Amy was professor of medicine at Duke University School of Medicine, and ran the Center for Learning Health Care in the Duke Clinical Research Institute and Duke Cancer Care Research Program in the Duke Cancer Institute. For more than a decade, she has pioneered the development of technology platforms to spur novel advancements in cancer care, including the development of systems by which big data can support personalized medicine, outcomes research, cancer care quality monitoring, and scientific discovery. With over 400 peer-reviewed publications, Amy is an internationally recognized expert in clinical trials, cancer outcomes research, health policy, health services research, patient reported outcomes, clinical informatics and patient-centered care. She maintains a close affiliation with Duke, and is an appointee to the Institute of Medicine’s National Cancer Policy Forum, past president of the American Academy of Hospice & Palliative Medicine, secretary of the Board of Directors for the Personalized Medicine Coalition, and recent leader within several federally-funded research networks. She also serves on the Board of Directors for athenahealth.